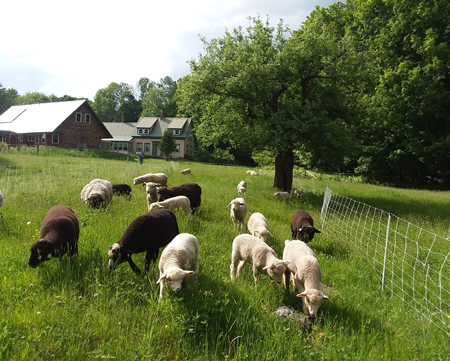 For Sale: Sheep Meadow is selling their flock. All ewes and ewe lambs are registered. 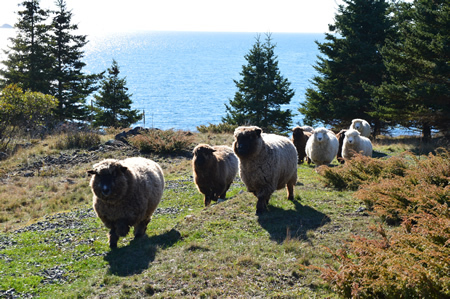 All Ewes were raised meticulously on an island off the coast of Maine. Each animal provides 8-12 pounds of fleece. Fleece was previously used to make blankets. Selling due to death in family. 2- Breeding Rams born February 2018 (1- All White, White w/natural factor) $550 each? 4- Adults born March 2016 (1- White w/natural factor, 3- Natural Color) $500 each? 6- Yearlings born March 2017 (1- White w/natural factor, 5- Natural Color) $475 each? 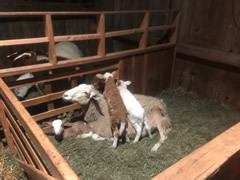 10- Lambs born March 2018 (7- White w/natural factor, 3 Natural Color) $300 each? 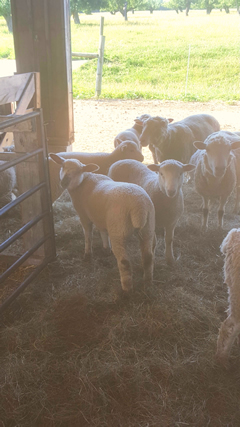 A Wrinkle in Thyme Farm is downsizing their flock and has sheep for sale. 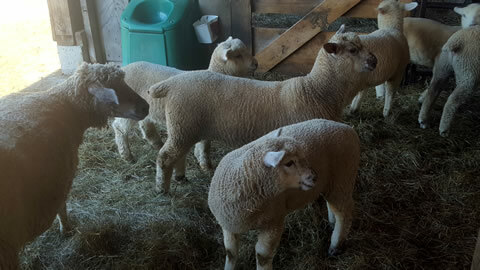 Asking $150 for each ewe. 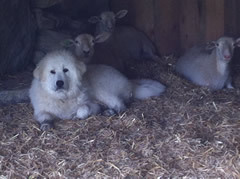 Born 2016 Fannie (white) and Fiona (colored), have Finn/Romney cross mother, and Finnicky (colored) Border Leicester cross mother. Gwyneth (white) who has a Finn cross mother. Cicada (white), Chiloe (white), and Clairece (white). These are big girls. For more information call 207-212-4058. 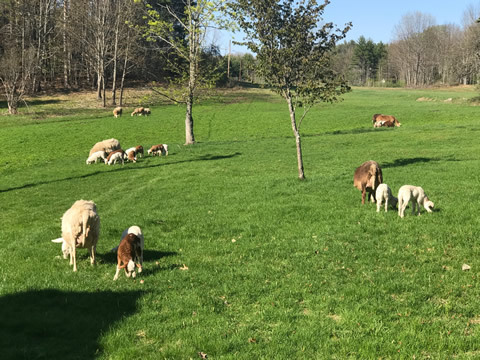 9 registered ewes from 1 year old to 6 years old. 3 gave birth to triplets this year, 4 to twins, 1 to a single ($150.00 per head). 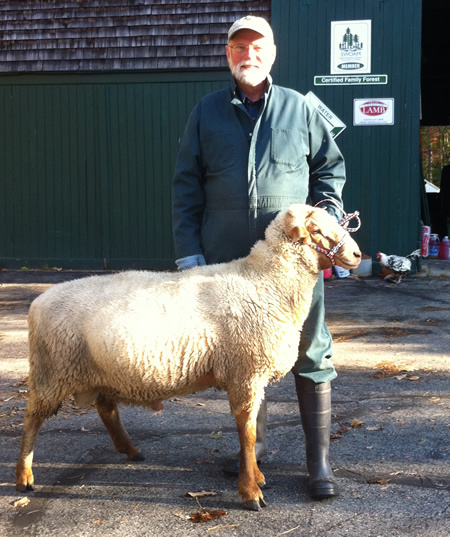 1 registered 1 year old ram used for breeding this year ($150.00). 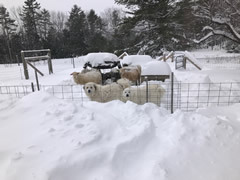 2 Great Pyrenees Guardian Livestock dogs I will sell together ($300.00 for the pair). These dogs work very well together. I have had no losses to predators since having the dogs. They are safe around and love children. 5 1/2 and 6 years old. In good health. If you are interested in taking the entire flock I will include $700 worth of portable electric fencing. 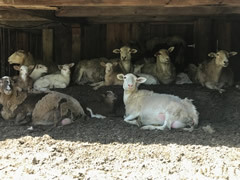 We have a careful history of genetic lineage for each sheep, so that they will be good for future breeding if desired. 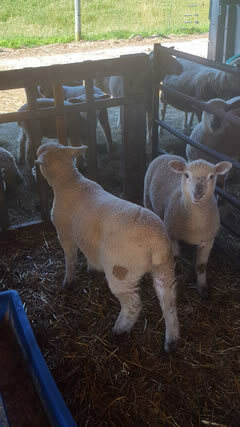 For Sale - Dorset x Southdown lambs born late April to early May. Females for breeders and males nutered. $250 large to $225 medium. Clean flock. For Sale H&S Model 270 Manure Spreader $9000: This is a heavy duty quality spreader that has only seen light use and has always been kept under cover and power-washed after use. It is in excellent condition awaiting your excrement. It has no issues. Options include the top beater bar, hydraulic end gate, and rear pan. Flotation tires have great rubber. 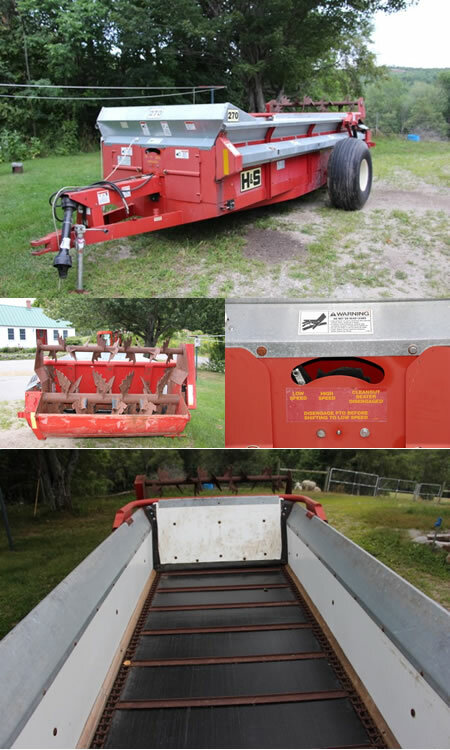 The only way you will find a better spreader is to buy a new one - - they are selling for $17,500!